'Fool To Cry' was released as a 7" single in the UK on April 20, 1976, where it peaked at #6. Its US counterpart, released at the same time, reached #10. 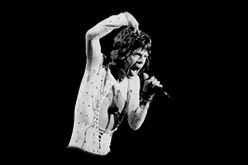 Written by Mick Jagger and Keith Richards, 'Fool To Cry' is the first single from the 1976 album 'Black And Blue'. 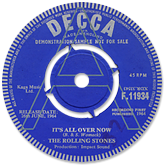 The song was recorded in December 1974, when Mick Taylor had just left the band and the rest of the Stones were left without a lead guitarist. The recording of 'Black And Blue' acted as a sort of audition for new guitarists which is why session man Wayne Perkins plays guitar on this track.